This is a website where I talk about the things I've done in the third person so I seem humble and not a website that sells handmade scarves as this layout would suggest. It's also a place where you can read and watch some of the things I've done and perhaps leave mean comments somewhere about them and ruin my day. The internet is mean, but someone told me I need to be a part of it in order to be considered a legitimate person. Am I a real girl yet? Guys? For hot comedy and curl content, check out my Insta-glam. Kimberly Dinaro's last name was originally spelled like the Spanish word for money, Dinero. However, she has no known relation to money. She lives in Brooklyn, NY and writes things she hopes people will laugh or cry at. She does not like lukewarm emotions or showers. 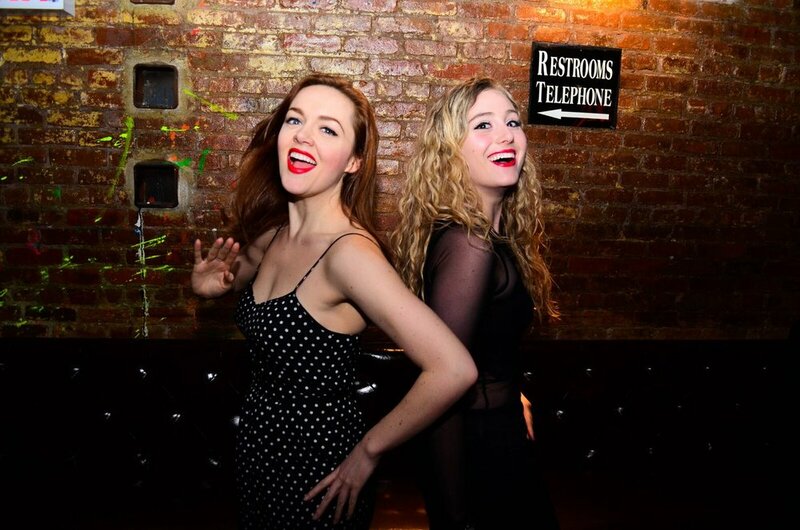 Left Breast Comedy is the comedy duo of Kimberly Dinaro & Sally Ann Hall. They bonded four years ago over the death of their dreams and now host monthly all-women stand up shows and open mics. They hope they're doing what they can to make sure everyone's voice gets heard as long as they are funny.